Paycent is a global mobile dual e-wallet that can be funded by digital assets (e.g. Bitcoin, Ether, Litecoin) with high liquidity and fiat currencies, all within the same mobile application. This allows the digital assets holders to have multiple avenues of spend and straddle the world of fiat and digital assets. The Paycent mobile wallet bridges the gap between multiple currencies. As Paycent is a live working product, we have an established network and we are continuously expanding the multiple currency ecosystem. We have secured regulatory licenses and are also currently in partnership talks with several governments, banks, and companies to create an even larger ecosystem for Paycent Mobile wallet infrastructure. We have already made successful strides in the application and we are fully committed in improving the wallet. 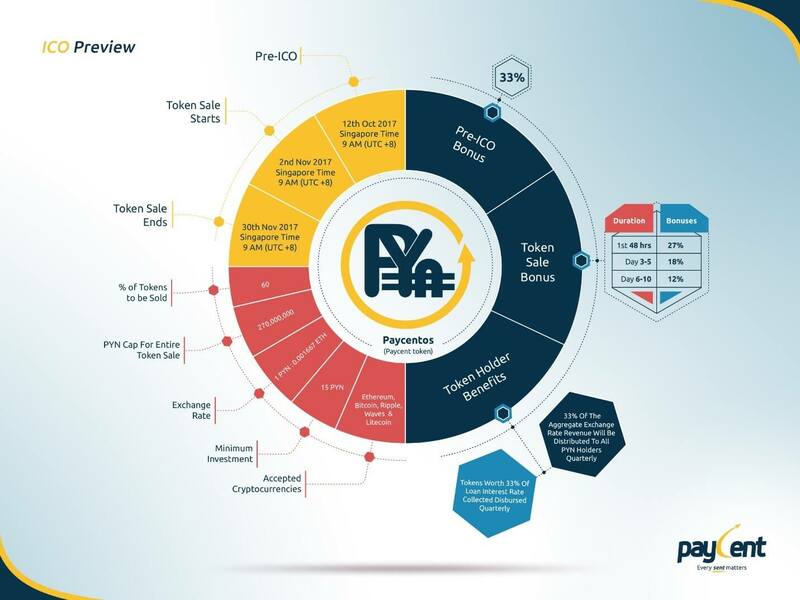 The Paycentos whitepaper is available with more details.